Part of moving to a new city is finding new favorite places to eat, shop, drink coffee, and take walks. My brother has recommended many places, while I’ve found others on my own. It’s helpful receiving his suggestions, yet it’s fun to find places that I can call mine. I’m still exploring my new surroundings and loving the adventure. During my time in Hollywood, I’ve heard positive reviews of Kettle Glazed Doughnuts, only a couple blocks away. Actually the official name seems to be Kettle Glazed Great Doughnuts, yet it is commonly known as Kettle Glazed Doughnuts or simply Kettle Glazed. I’ve passed by Kettle Glazed Doughnuts countless times, often noting that I should stop some time to try their doughnuts. 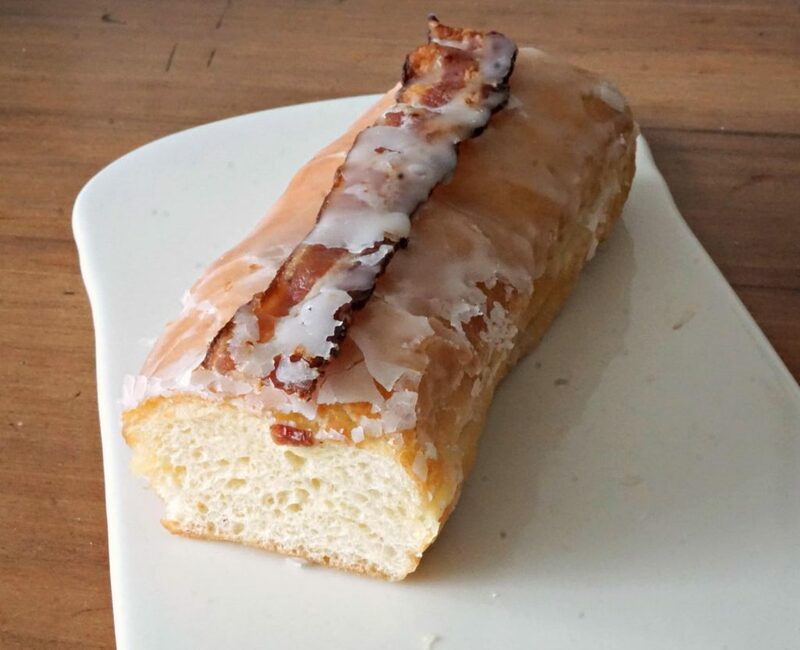 As you can imagine from the tasty and healthy theme of my food blog, doughnuts are not my usual breakfast or snack. However, my son who is finishing a Master’s in Management in Brussels is a bit obsessed with doughnuts. He’s even exploring ways to market them in Europe. 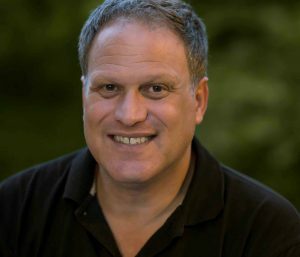 In a couple weeks he’ll be visiting me in Los Angeles. I’m therefore already scouting the top local donut places to show him. My donut tasting is thus for educational purposes. This weekend, in the lead up to the 89th Academy Awards ceremony, I read that Anna Faris often orders doughnuts from Kettle Glazed Doughnuts and has them delivered by Postmates. Afterwards I noticed that Thrillist included Kettle Glazed Doughnuts in the Best Donut Shops in LA. 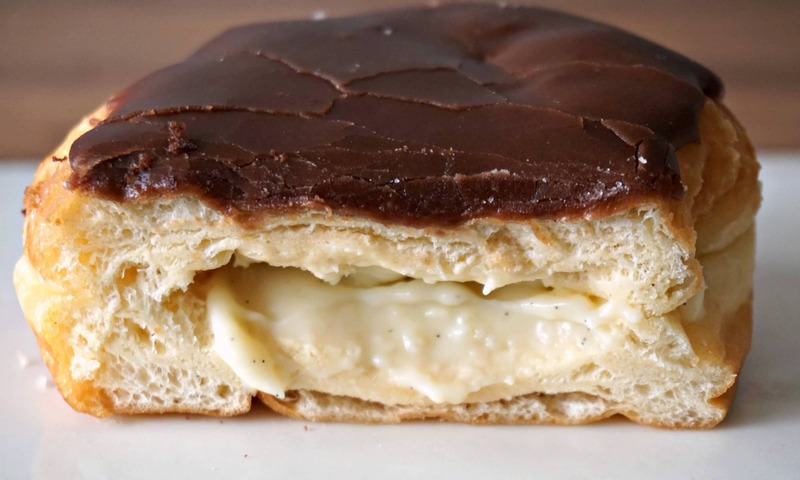 My childhood favorite donut shop, Stan’s Donuts, was also featured in the Thrillist list. Since then visiting Kettle Glazed Doughnuts became a priority! Today I stopped in at Kettle Glazed Doughnuts to taste their doughnuts. Douglas and Olivia greeted me and immediately made me feel welcome. 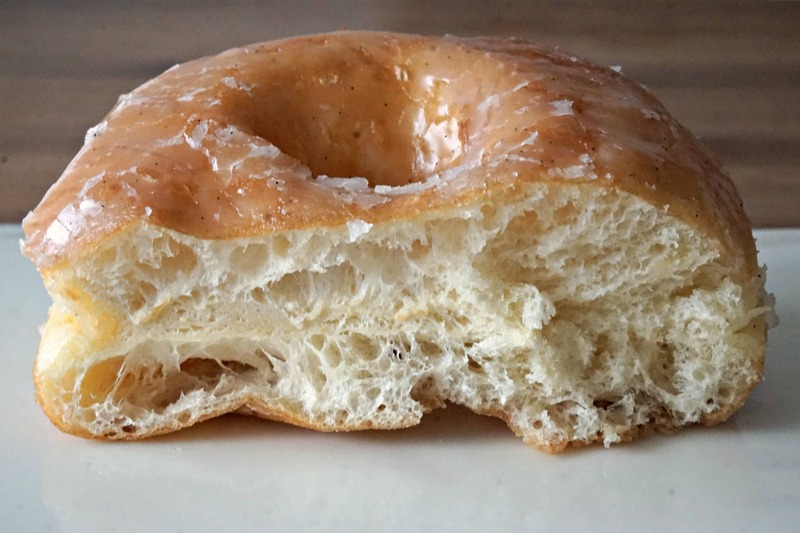 Douglas kindly answered my countless questions about Kettle Glazed Doughnuts and its history. I learned that Kettle Glazed Doughnuts apparently has the best coffee as well as the best cold-brew coffee of any donut shop in Los Angeles. Not having tried the coffee in all the local donut shops, I’m not able to confirm this claim myself. You will therefore have to try Kettle Glazed’s coffee to assess it for yourself. 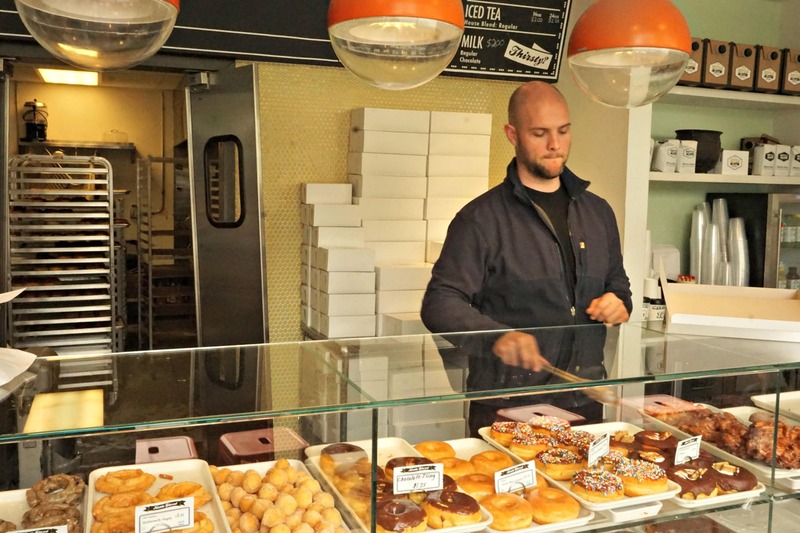 Kettle Glazed Doughnuts opened its doors only three years ago. Yet, during this short time it has developed a loyal following, with nearly 80% of their customers being repeat patrons. Besides the Hollywood notables who purchase doughnuts at Kettle Glazed Doughnuts, their customers include people of all walks of life. 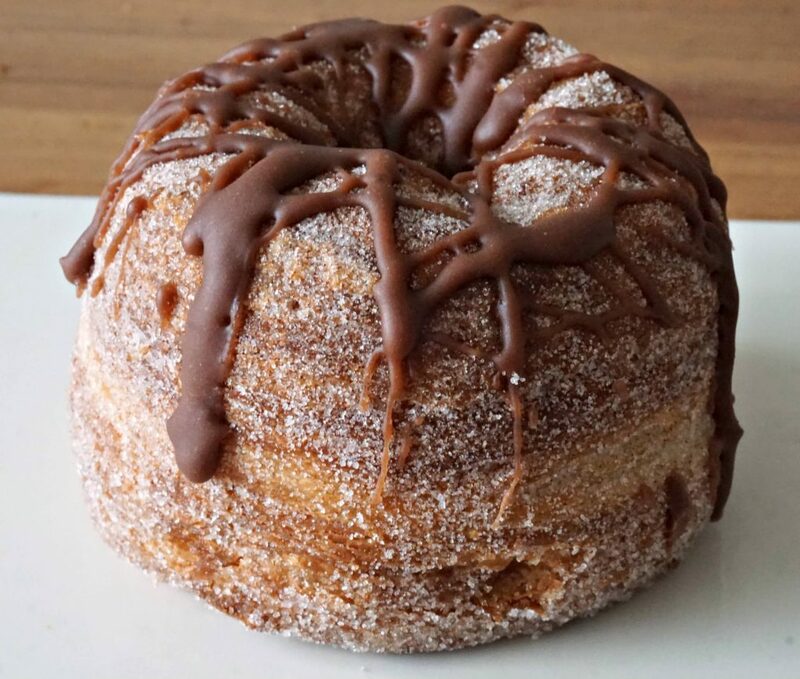 Although Kettle Glazed’s cronuts (a cross between a croissant and a doughnut filled with cream) and cruffins (a cinnamon-sugar doughnut baked in a muffin tin) help Kettle Glazed Doughnuts draw in customers, their traditional doughnuts probably keep them coming back. Their friendly staff and good coffee certainly also give customers a reason to return. 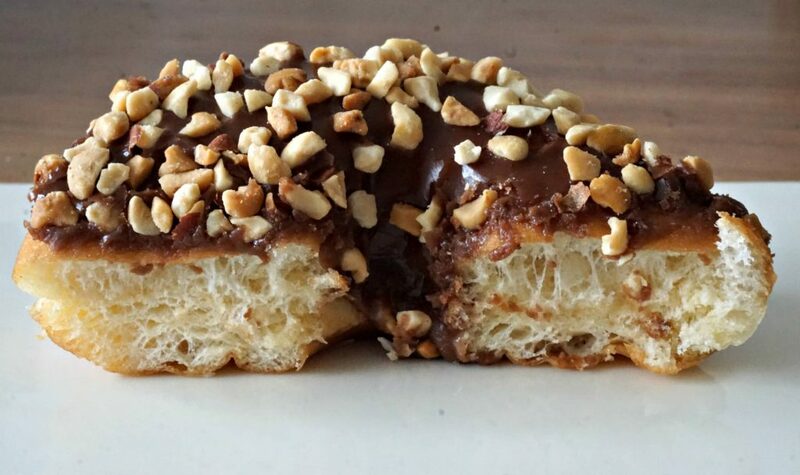 a chocolate glazed raised doughnut with crushed peanuts on top. I took all the doughnuts back to my home to try them. Ok, it’s probably not the best lunch idea I have had these past months. However, it was definitely the most decadent and indulgent! Fortunately a couple people helped me taste the doughnuts to save me from myself. As we tried the doughnuts my brother shared with me a story about one time he went to Kettle Glazed Doughnuts. When he arrived at the shop, he sadly discovered that they had no more jelly doughnuts. He mentioned his disappointment to the woman serving him. She told him to wait a couple minutes and she’d make him one. Shortly afterwards she handed him a freshly made jelly doughnut still very warm. 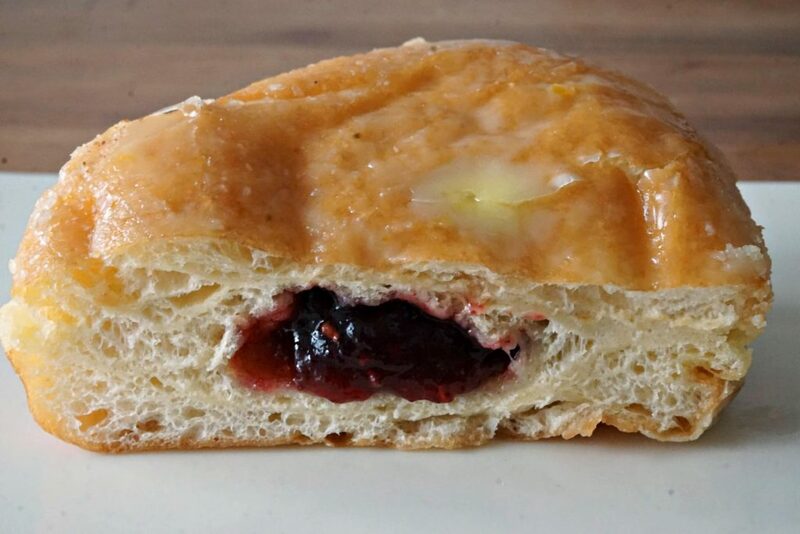 He devoured it quickly and still considers it as one of the best doughnuts he ever had. 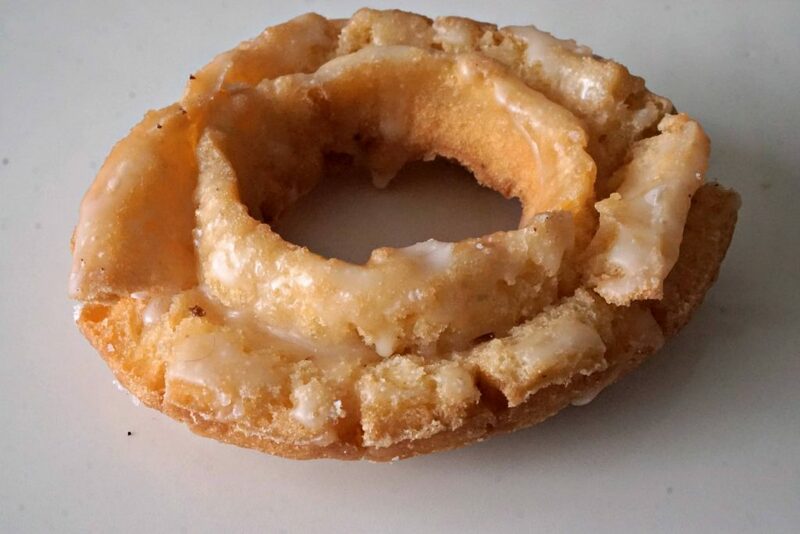 It turned out the kind woman was the owner of Kettle Glazed Doughnuts. I enjoyed all the doughnuts tasted. 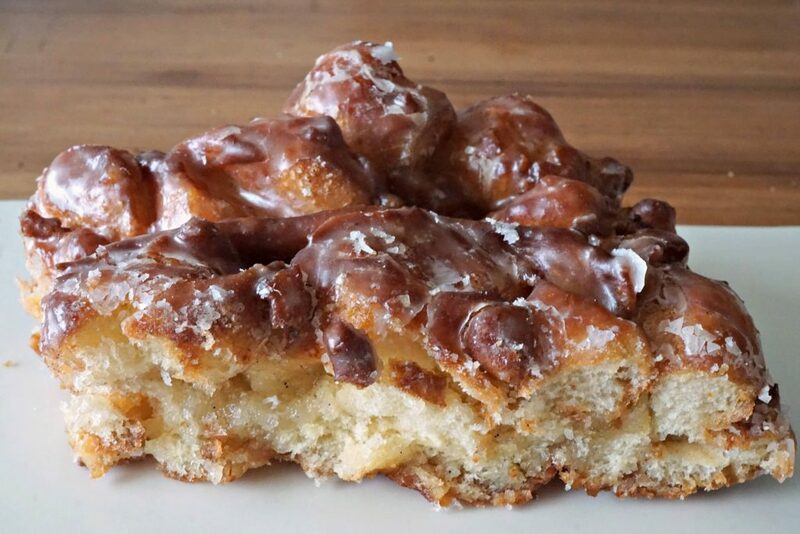 Yet, I loved most the apple fritter, the cruffin and the buttermilk old fashioned bars. Apple fritters and buttermilk doughnuts are among my favorite doughnuts anywhere, so I am able to compare these to numerous others from my past. The cinnamon-sugar cruffin, which by the way are baked instead of fried, reminded me a bit of cannelés, a yummy French treat. Kettle Glazed Doughnuts also offers vegan and and gluten-free doughnuts. I tried them on a second visit. Biting into each of these special doughnuts, I was surprised by their moisture. The vegan doughnut seemed to be a yellow cake doughnut with a lemon glaze. 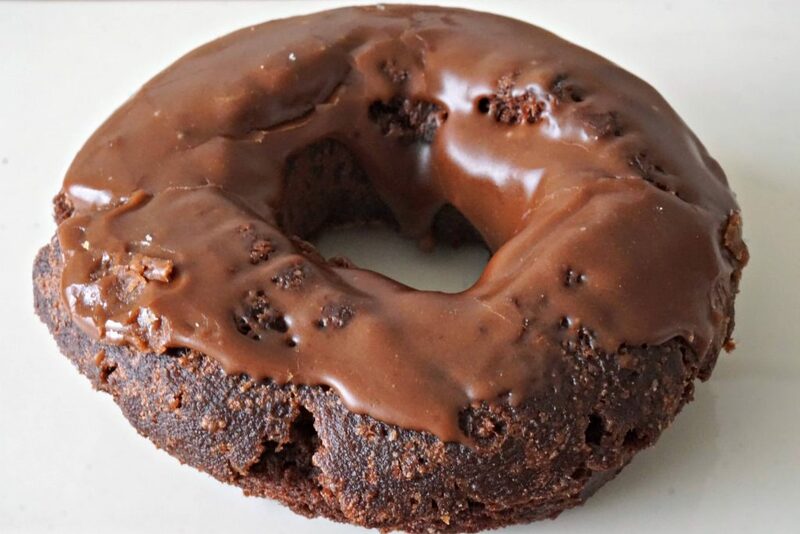 The gluten-free doughnut had a chocolate dough (with a hint of the almond flour used) as well as a chocolate glaze. 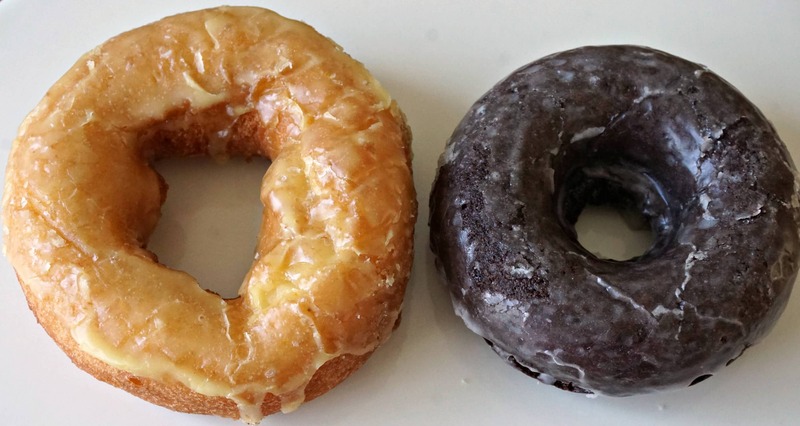 I’d recommend both the vegan and gluten-free doughnuts if you have dietary restrictions or even if you don’t. 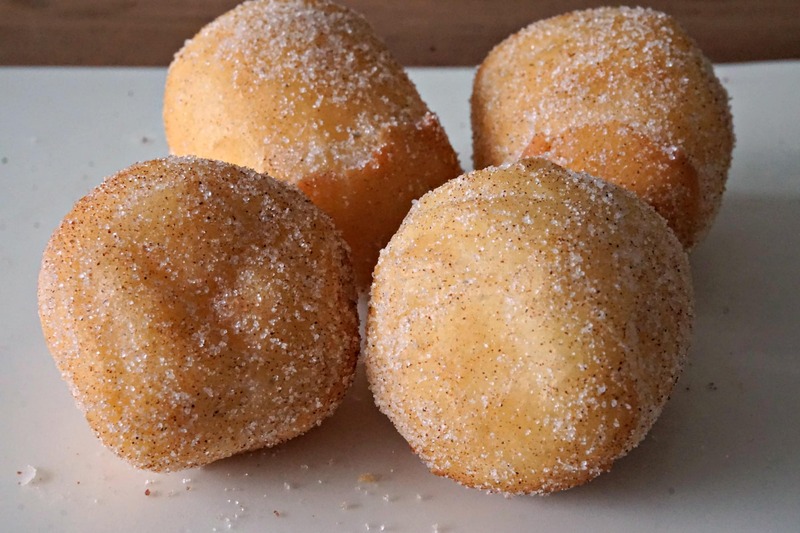 They are tasty and even more moist than the traditional doughnuts. 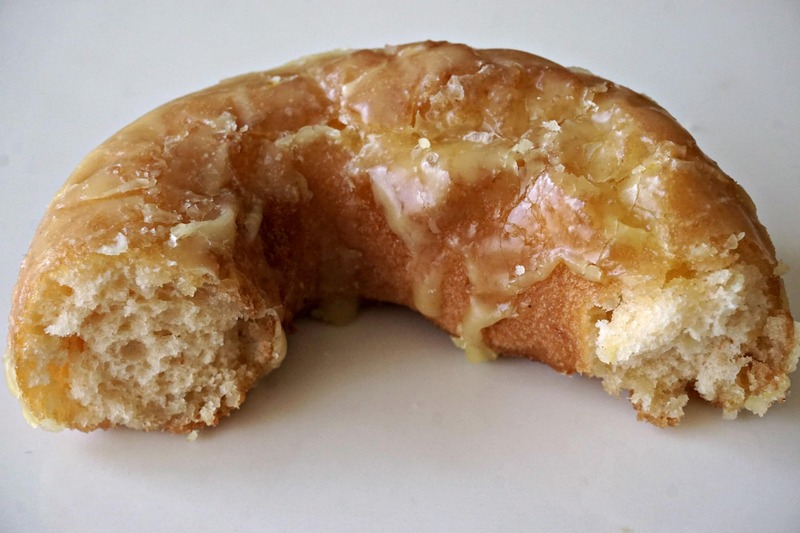 How Can you Get Your Kettle Glazed Doughnuts? 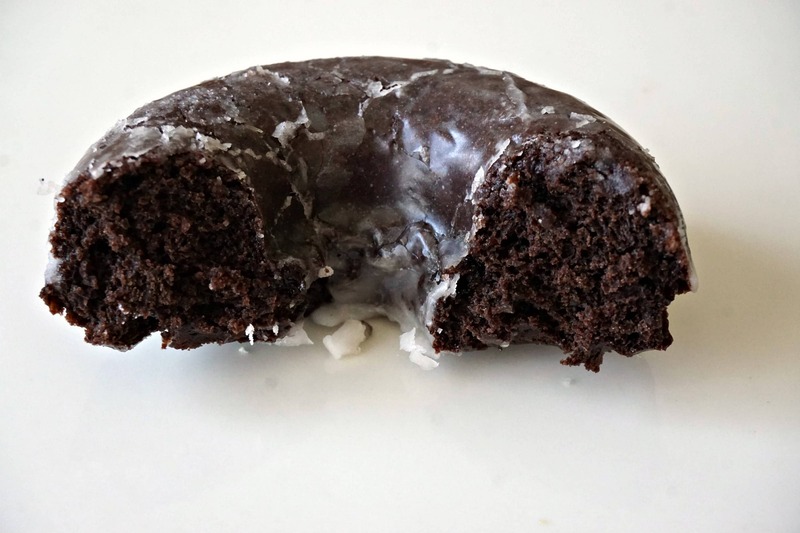 You can find Kettle Glazed Doughnuts at 6211 Franklin Avenue, Hollywood, California 90028 (Telephone: (323) 462-2344). It is open 7 days a week, from early in the morning until fairly late in the evening. 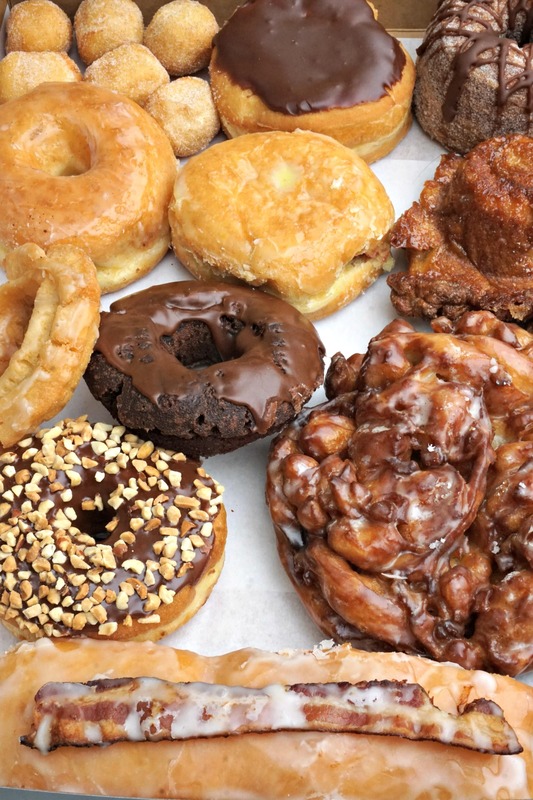 If you are near Hollywood, I would recommend you visit Kettle Glazed Doughnuts and pick up an assortment of doughnuts to share with your friends. If you are not near Hollywood, you will be happy to learn Kettle Glazed Doughnuts is very close to the Vine / Gower Street exit on the 101 Highway, making it easy to hop in on your way somewhere else. However, you can also have their doughnuts delivered to you via Postmates for only a couple dollars more. I believe they may even deliver large orders for free in their neighborhood. Don’t be selfish, share this post with your friends. Remember to come back and share your own experiences with me in the comments below.